Summary: Eva’s life is not her own. She is a creation, an abomination—an echo. She was made by the Weavers as a copy of someone else, expected to replace a girl named Amarra, her “other,” if she ever died. Eva spends every day studying that girl from far away, learning what Amarra does, what she eats, what it’s like to kiss her boyfriend, Ray. So when Amarra is killed in a car crash, Eva should be ready. Review: I went into this a little wary since science-fiction-dystopian isn’t really my thing, but — wow. This is one of those books that you just have to read all in one sitting. The Lost Girl starts out slow, letting the reader really get to know not only Eva, the echo of her counterpart Amarra in India, but also her patchwork family made up of her adopted mother figure, guardians, teachers, and friends. The narrative voice of Eva is distinct and descriptive. Through her perspective, the other characters gain dimension and life. When Eva is finally torn away from her precious family so that she can fulfill her roll as an echo, the pain she experiences feels genuine. And when she meets her new family, they are just as fully realized as her old one. 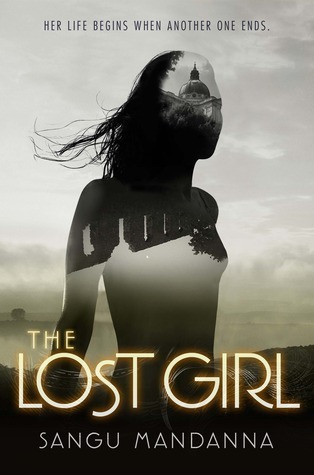 The setting of The Lost Girl is both its strength and weakness. The story is set in what feels very much like our world, with the exception of the existence of Weavers and echoes. Weavers who can create life from scratch sounds like something that belongs in the future with all of the accompanying science innovations. Instead, the Weavers and their methods are shrouded in mystery, which renders the story’s premise a tad unbelievable. At the same time, the setting fits with the tone of the book — the narrow perspective and voice of Eva, a teenage girl who knows little about the outside world. It also renders Eva’s experiences in both England and India all the more real. Her stay in Bangalore is rich in details about the humid weather and ashoka trees. Recommendation: Buy it now! And get some hot chocolate ready to comfort you.